Entering The University of Melbourne’s Ian Potter Museum of Art, I walked upstairs and entered a darkened room: soft light illuminated the central glass case containing a small medieval prayer book opened to reveal a biblical scene in brilliant colour, painted on parchment. I could just see the crimson velvet binding around the edge of the cover, and I imagined it nestled lovingly in the hands of its owner. 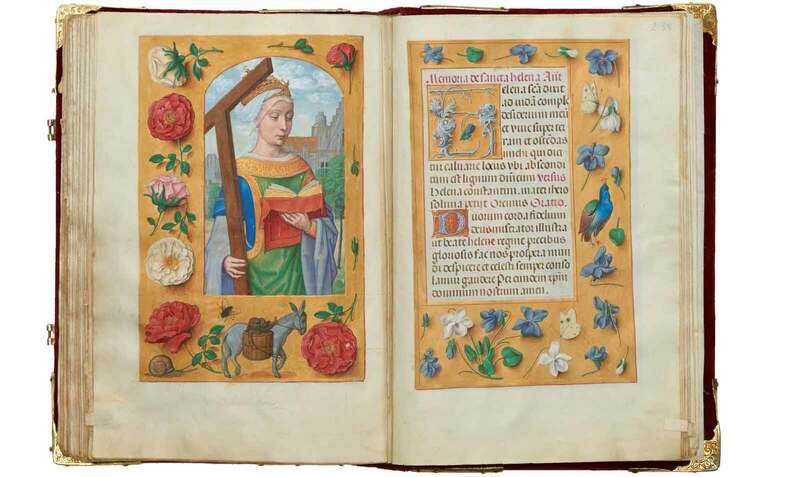 Produced in the southern Netherlands town of Ghent between 1505 and 1510, the Rothschild Prayer Book is likely to have been also illustrated by artists from the Flemish city of Bruges. 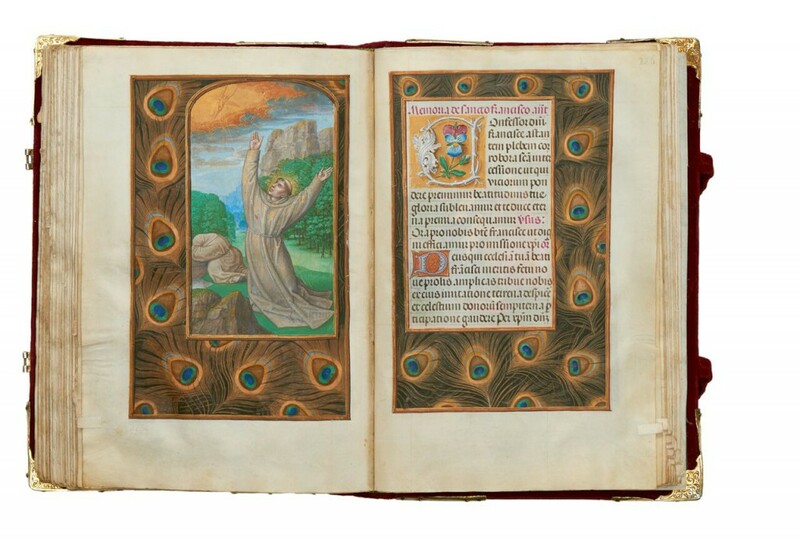 The Rothschild Prayer Book or ‘Book of Hours’ is a masterpiece of Flemish Renaissance art: 252 folios and 67 full-page miniatures with illusionistic trompe l’oeil borders depict dramatically-represented biblical figures and stories, interspersed with scenes of contemporary life and picturesque landscapes. 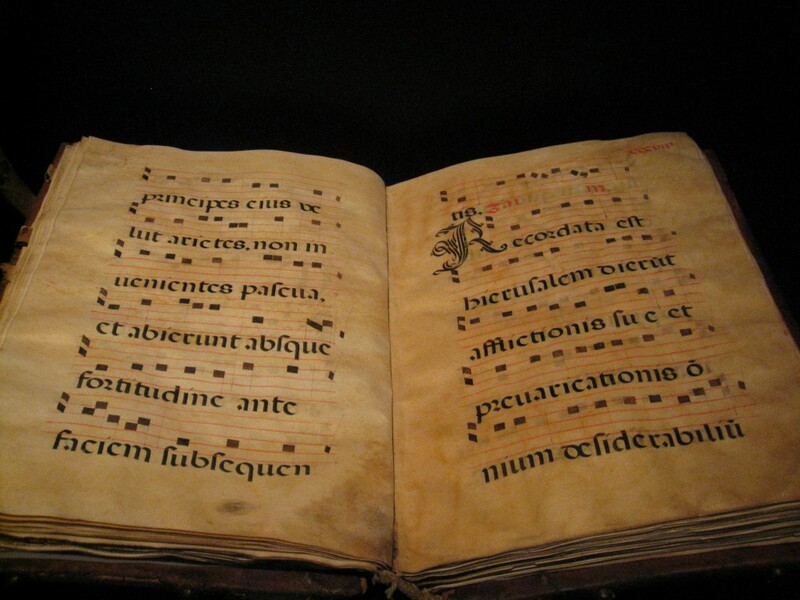 From the late thirteenth century, prayer books, or Books of Hours, in manuscript-form were number one best-sellers. 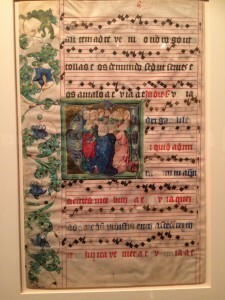 While manuscripts were still being produced early in the sixteenth century, literally thousands of editions of Books of Hours also poured from the printing presses of Paris and other cities. Several of these printed books are displayed in this exhibition. This intelligently-curated exhibition, ‘An illumination: the Rothschild Prayer Book & other works from the Kerry Stokes Collection c.1280-1685’, provides a not-to-be-missed opportunity for the Australian public to view this extraordinary prayer book, which was purchased for the Kerry Stokes Collection in 2014 (reportedly for $15.5 million). 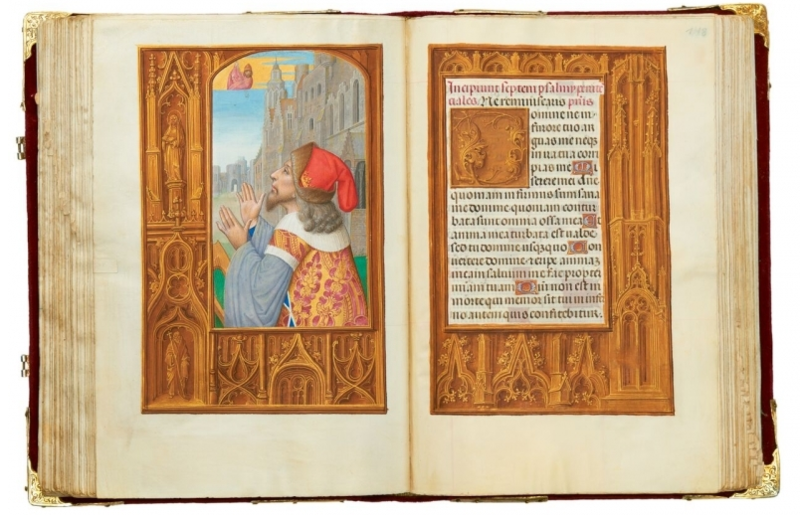 One of the co-curators, Emeritus Professor Margaret Manion, believes that the Rothschild Prayer Book is not only valuable because of its rarity, but also due to its extraordinary quality. The depth of Margaret Manion’s knowledge of medieval and Renaissance illuminated manuscripts and books is also extraordinary, especially those made for women. I was lucky enough to spend a semester in 2013 at The University of Melbourne with Professor Manion, attempting to soak up just a fraction of her vast knowledge. Considering its age, the colours in the Rothschild Prayer Book are still vibrant, magnifying the exquisite detail and beauty of the miniature paintings. A fine example of one of the half-length female saints, painted with a delicate treatment of flesh and drapery, is St Helena (below). This highly-finished miniature shows the saint in contemplation, standing with downcast eyes holding her prayer book. Most Books of Hours contain suffrages: short prayers addressing popular saints and often asking for their protection from particular dangers. One of the most distinguishing features of the so-called Ghent-Bruges school of illumination of the early sixteenth century is the trompe-l’oeil border: flowers, animals, butterflies, insects, birds, peacock feathers, fruit and architecture framing the central image with a three-dimensional effect, bringing a sense of liveliness to the illustration. The original owner of the Rothschild Prayer Book is unknown, and the book’s provenance is obscure until it appears in Anselm van Rothchild’s 1872 catalogue of the Rothschild Family Collection. 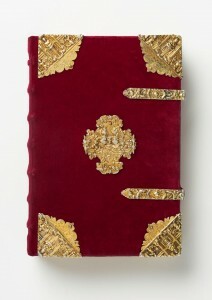 The same prayer book was stolen by the Nazis in 1938, and deposited in the Austrian National Library in 1942, where it remained until it was returned to the Rothchilds in 1999. On 8 July 1999 the Prayer Book was sold, and again on 29 January 2014, to Kerry Stokes. 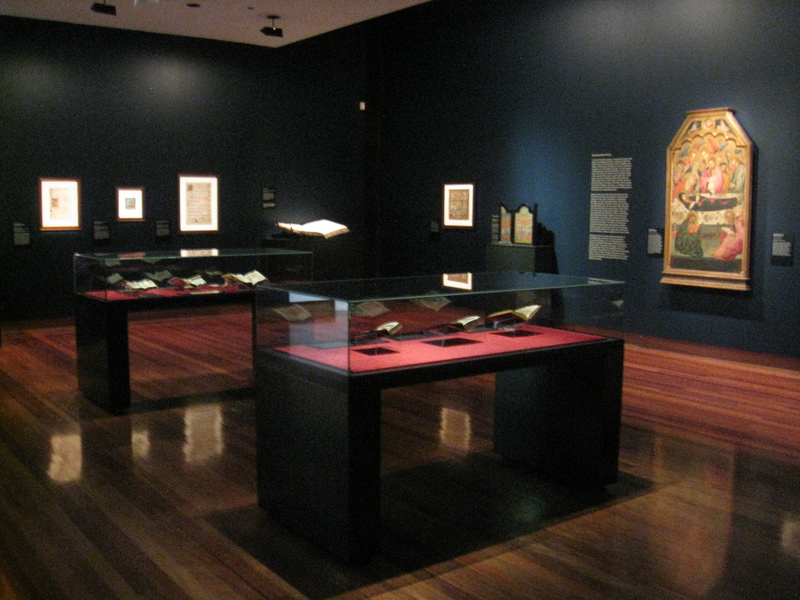 Mr Stokes has built his private collection over forty years, and along with the Rothschild Prayer Book, this Ian Potter Museum of Art exhibition includes 40 other illustrated manuscripts and decorated printed books, pamphlets and other documents, as well as medieval devotional panels, crafted furniture and luminous examples of medieval stained glass sequences, sculpture and paintings. 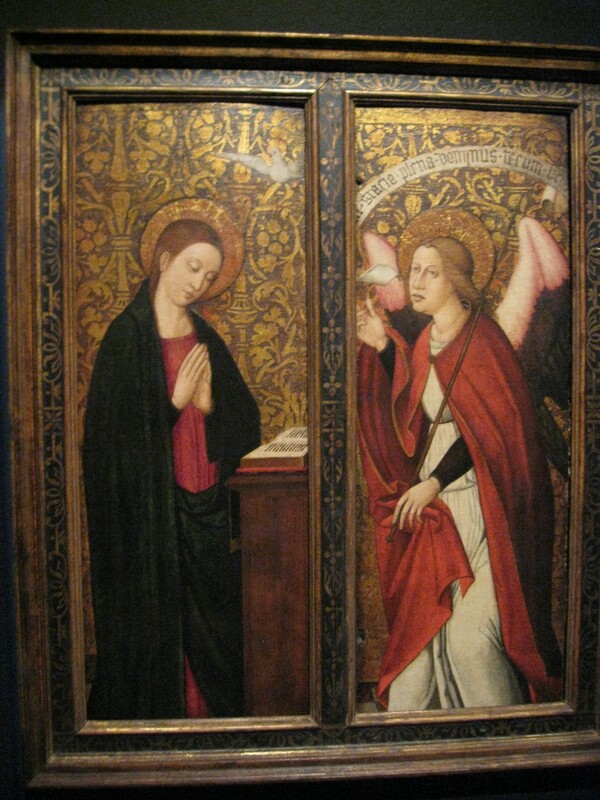 These works of art help broaden our view of the religious and cultural contexts in which they were made. In the same room as the Rothschild Prayer Book stands the polychrome wood sculpture, ‘Saint Balsius of Armenia’ (c. 1520-25). Sensitive lighting illuminates the high quality of carving and gilding. On the wall facing the glass case containing the Rothschild Prayer Book is an exquisite painting by Nicolas Falco, which is characteristic of Spanish painting at the beginning of the sixteenth century. The decorative background, modelling of draperies and shallow space combines Italo-Byzantine and Renaissance traditions in painting. The figure of Mary stands in silent contemplation as she reads her personal prayer book—an inspirational curatorial gem. The exhibition ranges across several darkened gallery spaces and the lighting remains soft and focussed, enabling viewers to engage more intimately with the devotional work on show. Understandably, most of these objects are viewed through glass; however, there is a Hymnal (c. 1500, vellum pages, leather boards binding) displayed on a lectern, and visitors are invited “to turn the pages and interact with this ancient hymnal, which was hand-written over 500 years ago.” (image below). 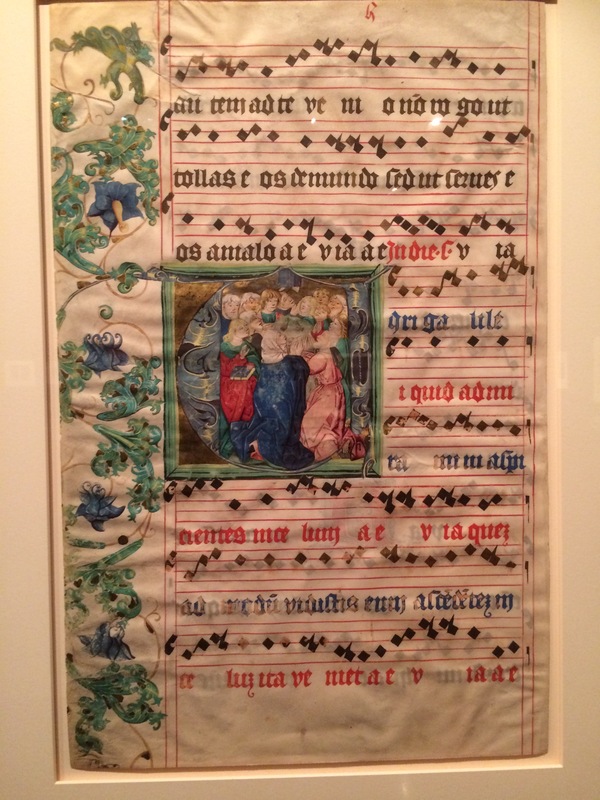 Nearby, under glass, is a leaf from a choir book dating from the same period. This illumination is attributed to Joannes Zmiley de Pisek, one of the most talented artists in Prague at the turn of the fifteenth century. The depiction of The Ascension shows the group looking to heaven with only the feet of Christ visible. To overcome the problem of only being able to view one double-page of each book on display in the glass cases, the next best thing is to sit and view images of the illustrations projected onto a large screen. Consequently, many pages of the Rothschild Prayer Book can be seen in magnified form as a projector flicks through the pages. 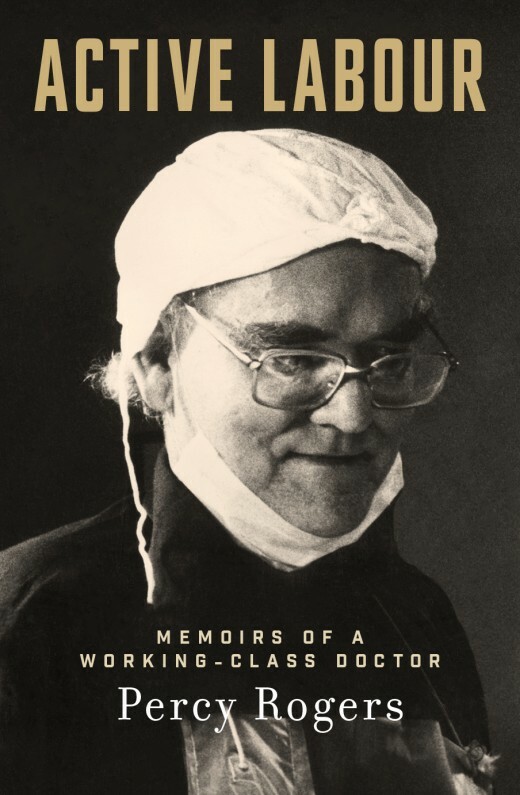 This Ian Potter Museum of Art exhibition is a celebration of how words and images can interact as a means of extracting a powerful and emotional response from the ‘reader’. It offers a multi-layered experience of a fascinating historical period through a collection of significant religious and secular works of art—and it’s free; open Tuesday to Friday 10am to 5pm, Saturday and Sunday 12 noon to 5pm. I’ll certainly be back before it closes on 15 November in the hope that I’ll see another double page of the exceptional Rothschild Prayer Book, even if it is viewed through glass.